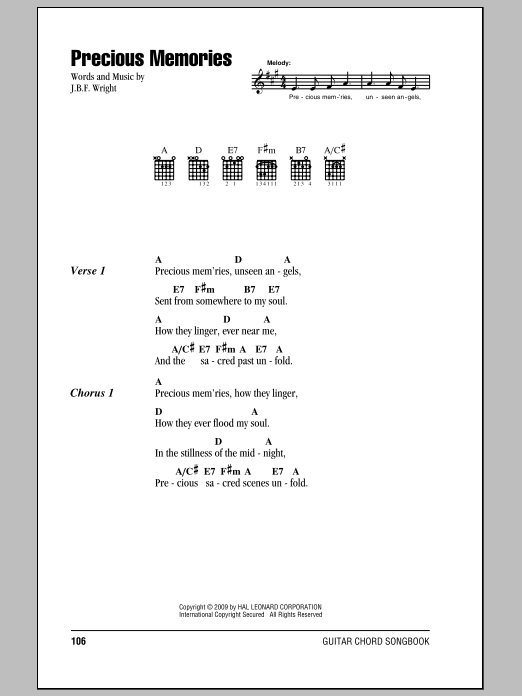 Precious Memories guitar chords and lyrics, as performed by J.B.F. Wright. Official, artist-approved version—the best guitar chord songs on the web.